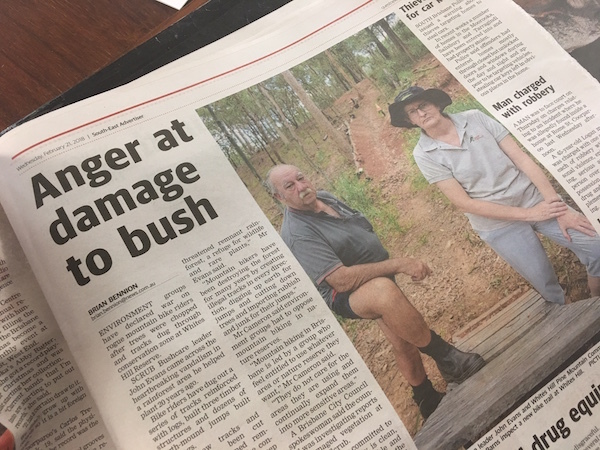 Whites Hill Reserve is battling the effects of vandalism at the hands of some mountain bikers. Mountain biking is illegal in Whites Hill. The South East Advertiser today (Wednesday 21 Feb) reports ‘Mountain bike riders chop trees in conservation zone for new tracks’. Read the article here. This overall problem is not new. 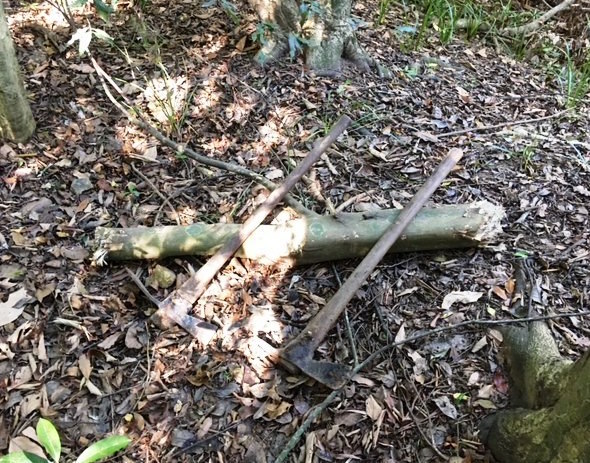 In 2014 Quest reported on the network of tracks, including trees cut down and makeshift ramps, in the conservation zone of the reserve. 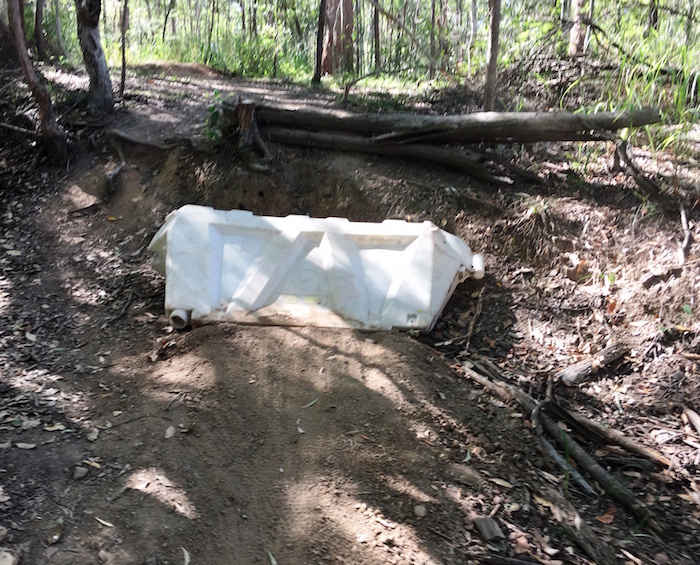 Quest reported “Chandler Ward Councillor Adrian Schrinner said he was concerned with the reports of illegal mountain biking activity at the Whites Hill Reserve and the damage that it caused.” Read full article. 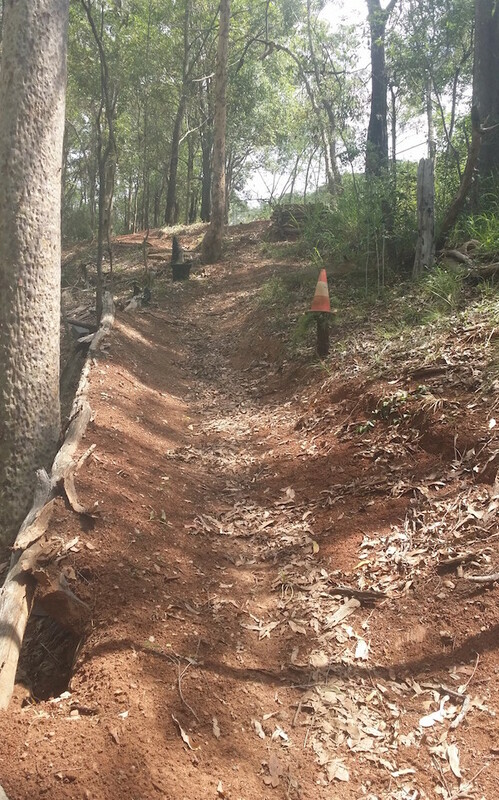 Legal mountain biking facilities and info can be found at the MTB Trails page and the Visit Brisbane Mountain Biking page. Photos below show some of the damage done in Whites Hill Reserve. 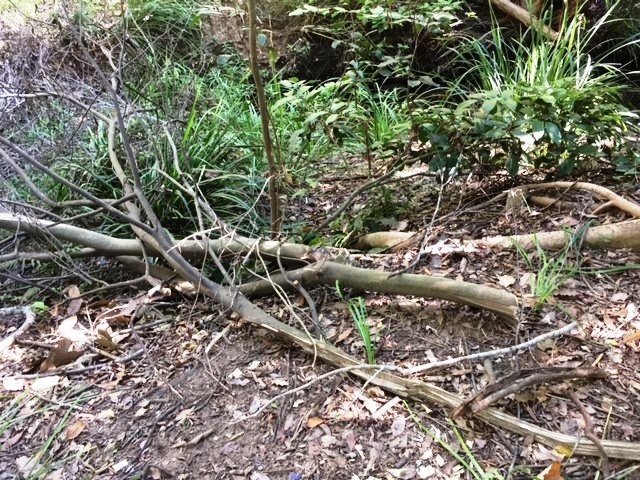 Trees cut down, discovered by bushcarers on Feb 11 2018. Tools left behind. Sankeys Scrub. February 11 2018. Damage done for biking ‘jumps’ in May 2017.
mountain biking, Sankeys Scrub, Whites Hill Reserve.